Description: Meyer's 1850 map of Florida is derived from the Tanner/Mitchell Universal atlas map of 1839, and similar to the 1845 maps. In this updated detail of Franklin County, waterways and townships are noted. The Apalachicola River's delta feeds the Saint George Sound. 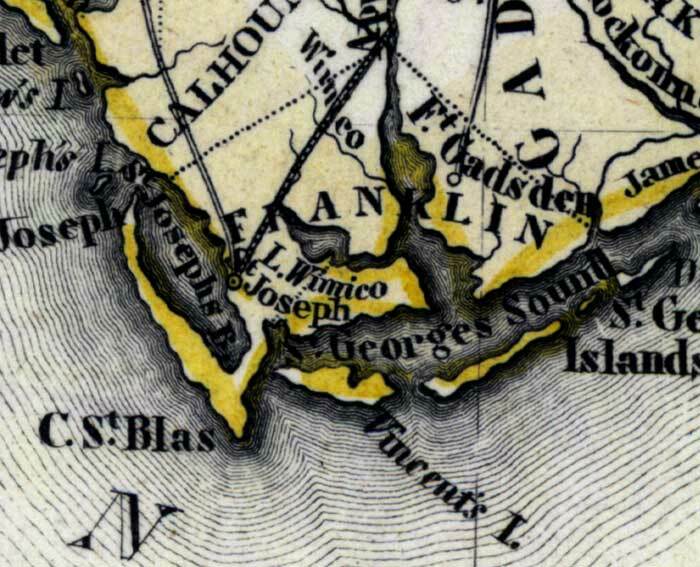 Other features include Saint Josephs Bay and the Saint George Islands.